The Coal Alliance brings together leaders in British Columbia’s coal industry – the mines, marine terminals, railways, industry associations, organized labour and others who support the mining and shipping of coal. 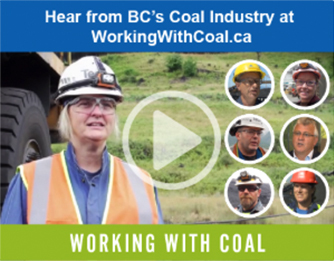 We work together to ensure we have a safe, responsible and sustainable BC coal industry. That means providing well-paying jobs that support families across the province, carefully considering the environment around us and continually taking steps to improve our performance. We do this by sharing knowledge, resources and technological advances as well as continually investing in our industry to ensure we are all operating at the highest standards.